The Leeds flyweight became the first British boxer to win back-to-back gold medals in the ring since Harry Mallin in 1924.Adams, 33, said she is considering her options after her Rio success. But promoter Eddie Hearn has warned her off going professional because there is little interest in the paid ranks for women in this country. He said: “I like Nicola, she is great for the sport and has a smile to light up every household in the UK. “But there is no demand from a UK broadcaster for women’s boxing so how can you do it? “Unless you’re going to spend a lot of money investing in women’s boxing in the UK, I can’t see it.“People ask me about adding Nicola Adams to a pro bill and I could see that working. “But there are other territories where women’s boxing there is a market – Germany, Sweden, America, Asia. 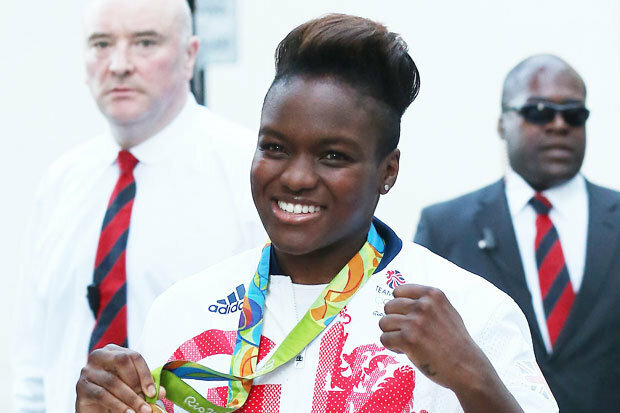 “If I was Nicola Adams I would probably go win gold in Tokyo. The funding is great, it is a nice lifestyle. Hearn also warned the men turning over that the signing-on fees Anthony Joshua and Luke Campbell got after London 2012 will not be matched by promoters this time. Light-heavyweight silver medallist Joshua Buatsi and super-heavyweight silver medallist Joe Joyce are two likely to turn over.Hearn said: “I don’t think they have the leg up that the London guys got. “I’m talking about what deal I would give them. There was no gold and how big was the audience for the boxing compared to London?